Save 5 minutes a day by using ASAP Utilities to quickly fix numbers with a trailing minus sign. "How can I flip the minus sign and make it a real negative number?" How can I make the negative symbol appear on the left?" This will automatically change all number with a trailing minus sign to negative numbers so that you can use it again in your calculations. When using copy/paste from AS400 to Excel, the negative numbers are not recognized as negative numbers because the negative sign remains on the right side of the number. Is there an easy way to flip the negative sign from the right side of the number to the left? Our manufacturing system extracts negative numbers in a strange way (at least for me). For instance is lists -134 as 0000134- (for positive, it just list 134). What formula can I write to convert it to -134 and remove the leading zeros and move the - sign to the front? I'm importing a COBOL report into Excel and this report, negative numbers have the negative sign in a trailing position. To use cells which contain negative numbers in an Excel formula, the negative sign needs to appear in front of the number. To be able to write formulas using these cells, I have to change the negative number cells to put the negative sign in a leading position. 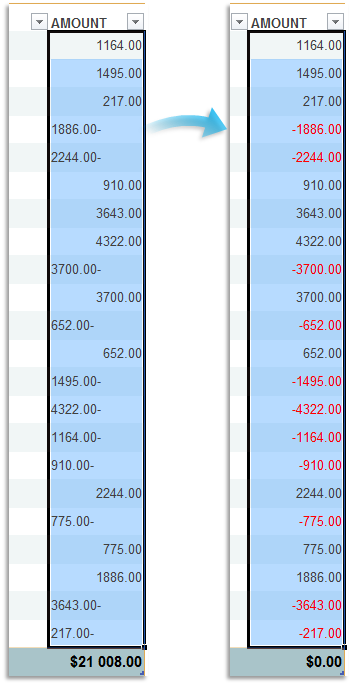 Other than change each cell manually (which is what I've been doing), is there some way to accomplish this re-format using a macro or something else? We received an Excel file that has negative numbers with a trailing (instead of leading) negative sign. These are cash transactions from a cash register. Is there a way to reformat only those numbers (there are tens of thousands of transactions) that have a trailing negative sign to make them a negative number? 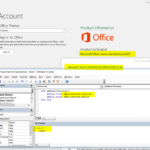 If you are importing a text file that has the trailing negative numbers, then (starting from Excel 2002), you can let Excel fix the trailing negative numbers during the import. This article from Microsoft shows how to do that. 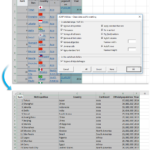 Debra Dalgleish even explains nicely how you can use this same built-in feature from Excel to fix already imported numbers with negative signs at the end.